This is a major comfort food for me. When my mother in law hosts some kind of family gathering this is usually on the dinner table and I make a total pig out of my self. It's a great way to use the leftover roast chicken that you've boiled off the bone (please tell me your being a good frugalist and doing this) and even though I'm generally opposed to recipes with canned cream of "something" soup or that include mayo (blech), I'm going to eat those words with this recipe.....maybe twice. Place rice in the bottom of a greased 9 x 11 casserole dish. Top with chicken. Steam broccoli and place in a layer on top of the chicken. Mix both soups, mayo, lemon juice, curry powder, and salt and pepper. Pour this mixture over top of rice, chicken and broccoli. Top casserole with cheddar cheese and bread crumbs. Bake in a 350 degree oven for 40-45 minutes. Let sit for 5 minutes before serving. Do you have a recipe you'd like to share? Please do! 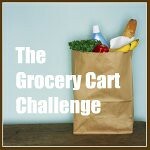 Please include a link directly to your post, not your homepage, and please link back to the Grocery Cart Challenge from your post. 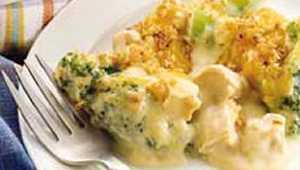 That Chicken Divan sounds so yummy - definitely comfort food! I'm looking forward to trying it. 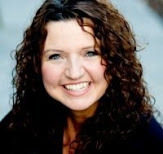 Thanks sharing it and for hosting.